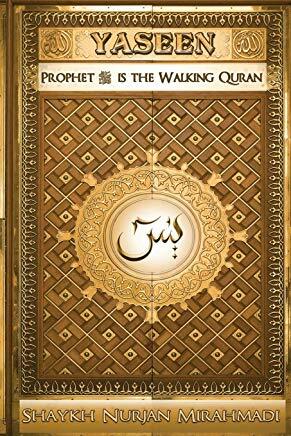 Walking Qur’an : Alif Laam Meem. Always a reminder for myself that ana abduka ajiz wa daif wa miskeen wa zalim wa jahl and that by the Grace of Allah I am in existence. That Allah ‘s Mercy be upon us, Allah ‘s Rahma be upon us, Allah ‘s Maghfirah be upon us, forgive us our shortcomings our wrongdoings. And we take a path of being nothing. That Allah ‘s Greatness is everything and we are nothing. Those ulil amr whom Allah authorized, they are responsible for guidance, and the knowledge which they convey is a guidance for our soul first, guidance for your body second. 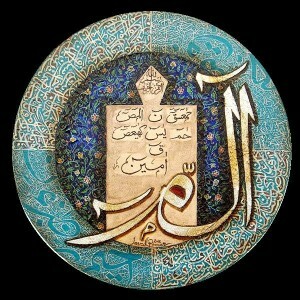 Now only they understood that Allah is describing, only one understanding, of that description is your atomic reality. 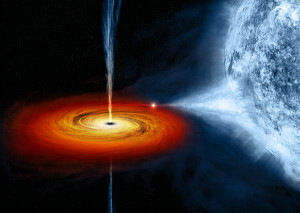 The Quantum Reality which is Malakut and Light, that your atomic reality governs everything of your physicality. 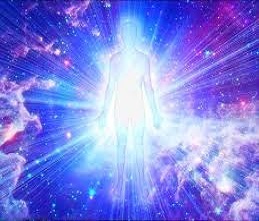 Your reality is from your light, you are merely manifesting because of your reality. If you don’t have a reality in the World of Light, there is no manifestation in this world. So what Allah , Prophet ﷺ and Awliyaullah are coming and teaching us that the primary is Malakut. What is your light reality? What is the reality of Prophet Muhammad ﷺ in the World of Light? Hadith of Jabir, where Prophet ﷺ described: ‘ That the first thing that Allah created was the Light of your Nabi (Prophet) ‘Awwal Khalq Allah, Nur nabyika’. 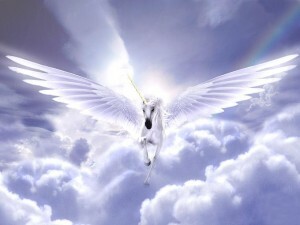 Means from that reality they want us to understand that study the realities of Light. Study the realities of the soul. Those are the realities which will lift you and uplift you. Reality of the body and anyone who is teaching you from the body knowledge: how to wash, how much Zakat to give. Everybody has that, you can watch many YouTube channels. How many times you want to understand about wudu (ablution)? When you wash and go to sleep the knowledge of that is not going to lift your soul. That is from your badan, from your body. You say, “Ya Rabbi how much Zakat do I have to give?” And when they come and tell you 2.5%, calculate this and that, that is not a knowledge that will lift you. 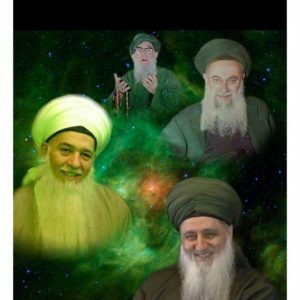 In this holy month of Rabbi al Awwal (third lunar month) the guides describe for us from these Oceans of Light, from these Oceans of Reality that what people love so dearly is Holy Qur’an. The Holy Qur’an in which they adhere to the words of Allah (AJ). Then they come and remind us what is the reality of Holy Qur’an? Again a reminder and we have said it many times before, alhamdulillah with the blessings of Mawlana Shaykh of what they are expanding within the heart. Back in the time of Prophet ﷺ, there was no Qur’an, there was no mushaf, there was no compiled book in the time of Prophet ﷺ. 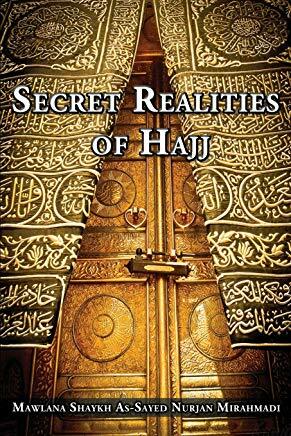 Means then Allah describes: “Only the people of tafakkur will understand these realities. When Awliya come and put a thought into your heart: that contemplate that during the time of Prophet ﷺ as revelation was coming and certain Sahabi were writing and putting that parchment away. They had no permission to compile it into a mushaf, into a book. So then all the reference from Allah of Kitab, of Kitab, of Kitab, of Kitab is in reference to who? It is in reference to Sayyidina Muhammad ﷺ. The Kitabullah is Sayyidina Muhammad ﷺ. But the heart of Prophet ﷺ is firm, means with that understanding, and with that reality, Milad an Nabi comes into our life. Who are these people who have Mawlid and Milad an Nabi (Celebration of Birth of Prophet Muhammad ﷺ)? Who are these people that continuously have mehfil and majlis (association) that making continuous salawat (praising) upon Sayyidina Muhammad ﷺ? Why? Because Awliyaullah (saints) know and they inspire within their followers, “in Huwa zikrun wa quran al mubin” (Quran 36:69) ‘He is the Zikr and Clear Quran’ is a description of Sayyidina Muhammad ﷺ. Where Allah says: “We raised your dhikr” “wa ra fana laka dhikrak” (Quran 94:4), in Surat al Inshirah we were reciting in our Zikr. That “We raised your status and mentioning your name and your zikr, every praising upon you has been raised; you are My walking Qur’an.” You are ‘Manzil al Qur’an’ (house of Quran), that the heart of Prophet Muhammad ﷺ, the light of Prophet ﷺ is the location of the holy Quran. The salawat from Prophet ﷺ is what? Is he coming to send you the lights of accounting? The lights of business degree? 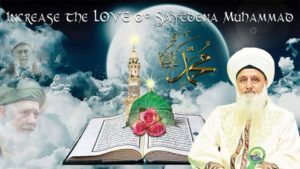 He is coming with the Holy Qur’an of Allah and the daroods and salawats of Prophet ﷺ are the Lights and realities of Holy Qur’an. 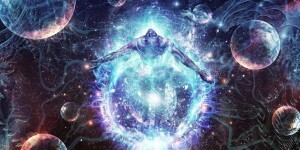 This nuqt, “You are the origin of every existence.” When Allah wants to bring Creation into existence it is in Nur Muhammad ﷺ, its all from the Ocean of Muhammadun Rasulullah ﷺ. Allah brings one nuqt into existence and it can be infinite amounts of Universes, all in Muhammadun Rasulullah ﷺ. Nur al Anwar wa Sirr al Asrar. 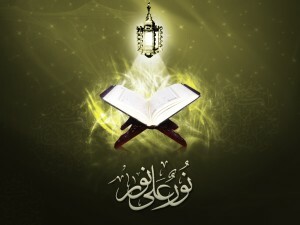 Means from Malakut and from the World of Light they are teaching, all that secret of Holy Qur’an is in that Ba. Who are the Ulul Baab (Gate Keepers)? Allah (AJ) said there are different Awliyaullah who are ulul albab, “The People of the Door” and Ahbab ‘people of love.’ What Door? The door of that Ba, they safeguard the secret of that Ba. 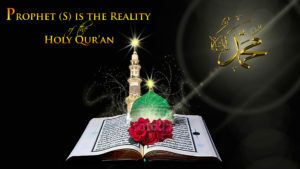 By that Ba opening up, it unfolds the whole story and realities of Holy Qur’an. When Allah (AJ) is describing in the opening of Qur’an from Surat al Fatiha. That is the secret of Surat al Fatiha, that it contains all the power of Holy Qur’an, all of its realities is in the Bismillah and all the Bismillah is in the Ba. That when the soul of Sayyidina Muhammad ﷺ is coming, Allah ‘s Holy Qur’an is coming. It’s not something small. This is not about the World of Form that we are only focused on the physical. 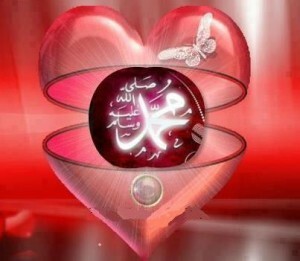 But with the physical came the Light of the soul, means the soul of Prophet ﷺ is coming with the Holy Qur’an of Allah . And that story is unfolding in Alif Lam Meem. Alif is ‘Izzatullah: Allah wants us to know within that Alif is the Izza of Allah . 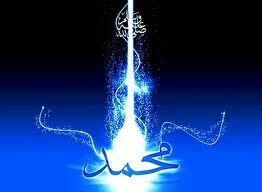 All My Orders, all My Amr, all My Irada is in My Alif. 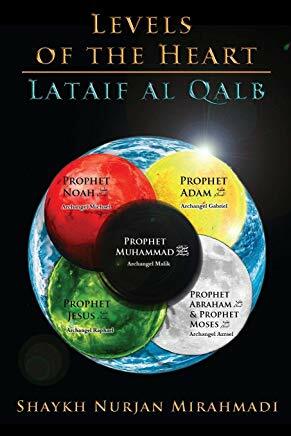 Laam is ‘Lisanul Haq’ Tongue of Truth: It is coming into this Laam that is now about to enter into your Earth, that is Lisan al Haqq. Some people came and said, “No, the Lam is Sayyidina Jibreel (Archangel Gabriel).” But we already said in the Hadith of Jabir, Sayyidina Jibreel is a khadim, a servant of Sayyidina Muhammad ﷺ. Sayyidina Jibreel’s Light is from the Light of Sayyidina Muhammad ﷺ. In Darood Taj what do we say? “Jibreel Khadim hu”, khadim ar Rasul. Khadim is the servant of Prophet ﷺ. Yea, he works for Sayyidina Muhammad ﷺ. 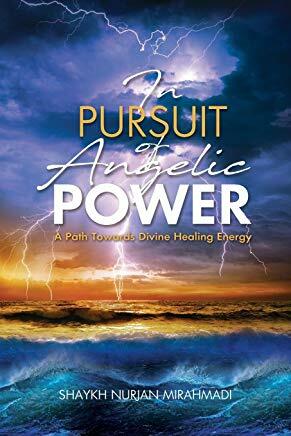 The Archangel Gabriel (as) was created to be his servant. Means that Allah (AJ)’s Qudrah and power, with the love of Prophet ﷺ comes and charges and brings the power of Holy Qur’an. But they have to be mutaqeen, they have to be the people of tafakkur and contemplation in which their senses, and all their being is under Allah ‘s Taqwa. … وَلَا يَزَالُ عَبْدِي يَتَقَرَّبُ إلَيَّ بِالنَّوَافِلِ حَتَّى أُحِبَّهُ، فَإِذَا أَحْبَبْتُهُ كُنْت سَمْعَهُ الَّذِي يَسْمَعُ بِهِ، وَبَصَرَهُ الَّذِي يُبْصِرُ بِهِ، وَيَدَهُ الَّتِي يَبْطِشُ بِهَا، وَرِجْلَهُ الَّتِي يَمْشِي بِهَا، وَلَئِنْ سَأَلَنِي لَأُعْطِيَنَّهُ، وَلَئِنْ اسْتَعَاذَنِي لَأُعِيذَنَّهُ.” [ رَوَاهُ الْبُخَارِيُّ[. Only with those senses they understood the Kitabullah is Sayyidina Muhammad ﷺ. The book of Allah is Sayyidina Muhammad ﷺ. 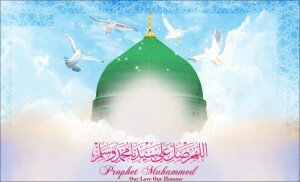 That is what Mawlid is, that is what the mehfil is, it is not something small. As soon as you make a darood shareef and praising upon Prophet ﷺ, this light of Holy Qur’an is coming, it is coming loaded and begins to dress the heart. That is why Maqam al Iman “to love Sayyidina Muhammad ﷺ more than you love yourself”. Then Allah ‘s Love enters into the heart and that heart becomes filled with of Holy Qur’an and that heart becomes “qalbun mumin baytullah”, becomes the House of Allah . We pray that Allah gives us a hikmah and understanding, patience and understanding, grants us from these Lights and these blessings for the holy month of Rabbi Ul Awwal and prepares us for the holy months of Rajab, Shaban and Ramadan. Bi hurmatil Muhammad al Mustafa wa bi sirri Surat al Fatiha. “ALIF LAAM MEEM” “Huda lil Muttaqeen” (2:2)- Who are Muttaqeen?